The street is filled with a variety of old buildings. The street is replete with old constructions with nostalgic architecture. There are plenty of old fashioned cafes and restaurants here. The historic feature of this street is truly commendable. You would also come across a lot of mosques here. 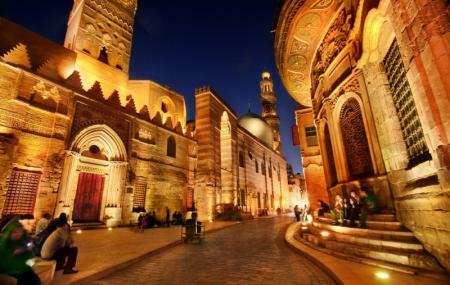 If you wish to see what old Cairo looked like, the Muez El Deen Allah Street is an area you should pay visit to. How popular is Muez El Deen Allah Street? People normally club together Al-Hakim Mosque and Nile Dinner Cruise while planning their visit to Muez El Deen Allah Street.